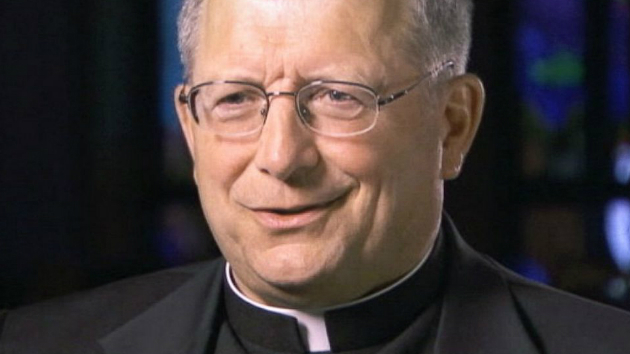 The “Missouri Miracle” mystery priest who ministered to Katie Lentz following a head-on crash with another vehicle came forward yesterday morning and revealed himself on the National Catholic Register. Today we learn more about the courageous priest who dared to wear his clerics in public despite the ridicule he would potentially receive from other priests in the area. Officer James Rigby with the Missouri State Highway Patrol told EOTT that “the priest looking guy” came out of no where, like a ghost. “We were all so shocked when we saw this priest wearing his clerics that we literally just stood there in awe for a while. By the time we came to terms with what we were witnessing, the Jaws of Life had arrived and the firefighters were able to safely extricate the girl. Actually they had arrived about ten minutes before we started using them, but we were all so shocked that we didn’t even know they’d arrived. The poor girl in the car had to tell us.” A friend of Lentz told reporters this morning that she [Lentz] didn’t blame the firefighters for being distracted, and that she had actually asked the firefighters to move so that she too could witness the miracle.